What information does DirectoryPress gather? When you register for a account on this website, DirectoryPress obtains contact information, such as your name, address, and phone number. When you use DirectoryPress service, our systems record information about your session, such as the dates and times of use, and the specific Internet address assigned to you. DirectoryPress also tracks requests you make for information on DirectoryPress products and services, and responses you provide to DirectoryPress surveys. Finally, DirectoryPress keeps records of your payment history and communications you have with DirectoryPress support team. Except in extraordinary circumstances (when we receive a court order, to protect the company’s rights or property, or in emergencies where someone’s safety is at risk), DirectoryPress does not keep track of what sites you visit when you are using the service. What does DirectoryPress do with this information? DirectoryPress uses the information it gathers in order to provide you with the best online experience possible. 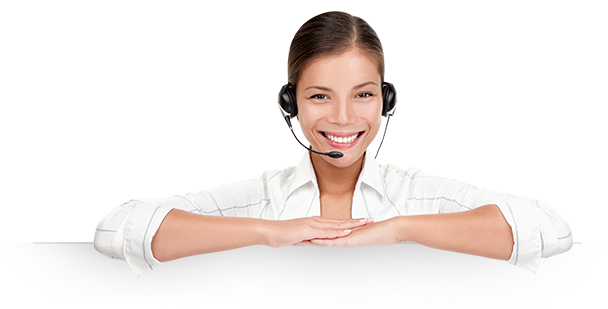 As you might expect, contact information is used to contact you concerning your account and our company. Payment information is used to validate your identity and to bill you for the services and products you order. Information on your online sessions is used to allocate system resources and to ensure compliance with DirectoryPress Service Level Agreements (SLA). Information on your communications with DirectoryPress support team is used to address the issues raised by your communications. In addition, DirectoryPress regularly sends out mailings regarding the operation of its service and other goods and services that it believes may be of interest to you. You may request that DirectoryPress not send you mailings relating to other goods and services at the URLs listed in this section or send an e-mail to privacy@DirectoryPress.com. DirectoryPress reserves the right, however, to send bulletins and other important information regarding the service at its discretion. Does DirectoryPress share subscriber information with third parties? DirectoryPress will not share or disclose information regarding its subscribers except (i) when we receive legal process such as a court order; (ii) when reasonably necessary to protect the company’s rights or property; or (iii) in emergencies where someone’s safety is at risk.You should be aware, however, that any information that you disclose in a public space such as a chat room, bulletin board, or personal Web site, DirectoryPress DNR domain registration is freely available to anyone else visiting that space. DirectoryPress cannot safeguard any personally identifiable information you disclose in these locations, nor can it ensure that information you voluntarily supply to third parties remains private. Please review the privacy policies of third party sites you frequent to ensure that your privacy preferences are respected. DirectoryPress trial customer email addresses will be added to our newsletter database to help us provide you with the latest information about the products and/or services we offer. To request a copy of the contact DirectoryPress has on your account, send an e-mail request to privacy@DirectoryPress.com. You may correct that information as appropriate by returning a message to the same address. Please keep in mind that under DirectoryPress Service Level Agreements (SLA), subscribers are required to provide DirectoryPress with current contact and billing information. DirectoryPress may require a copy of a government issued form of identification before disclosing billing information or before making changes to the billing or contact information on an account. What happens to the information if I leave DirectoryPress? If you ever leave DirectoryPress, DirectoryPress will normally delete your personally identifiable account information twelve months after the account is cancelled, unless we are under a legal obligation to retain it. We preserve account information for this short period of time in the event you wish to reactivate your account and retain your previous e-mail address. However, in the event of any accounting irregularities, DirectoryPress reserves the right to retain your contact and billing information as necessary to resolve the matter. DirectoryPress reserves the right to make changes to this policy.